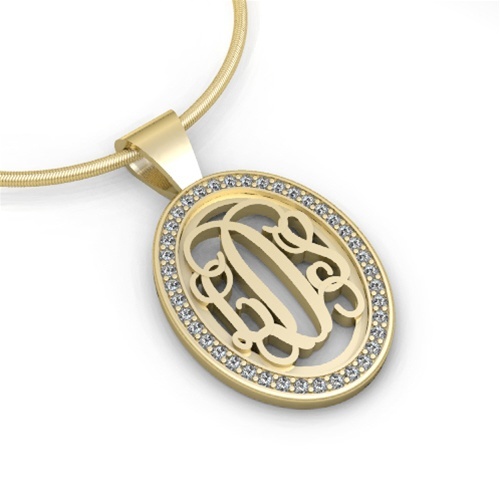 A lacy monogram, delicately cut from platinum, palladium, and 10k, 14k and 18k gold (yellow, white or rose), makes this petite pendant truly spectacular. An oval of tiny of white or black diamonds adds a romantic touch. Approximately one inch long. Pendants are available in a variety of metals. Price quoted below is for 14k Gold with White diamonds. 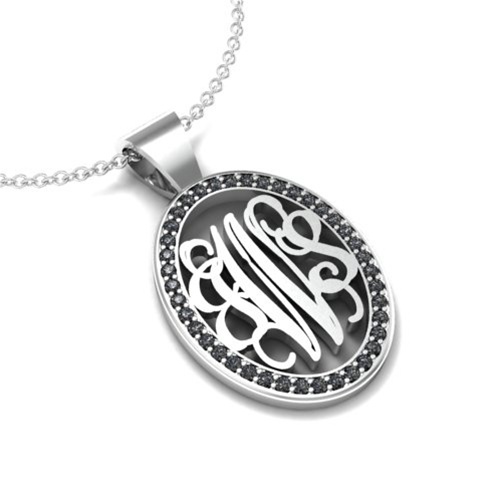 View your monogram in the Script style.